New Featured Episode: "Melting Pot"
Dranuur is a paradisiacal world hidden behind a space anomaly that warps sensors. There, with a little engineering and a little bioforming, the Lukari and the Kentari have established a new colony. This idyllic home is in its early stages of development, still under construction, but it’s quite the departure from the polluted New Kentar or the tiny moon of Lukar. 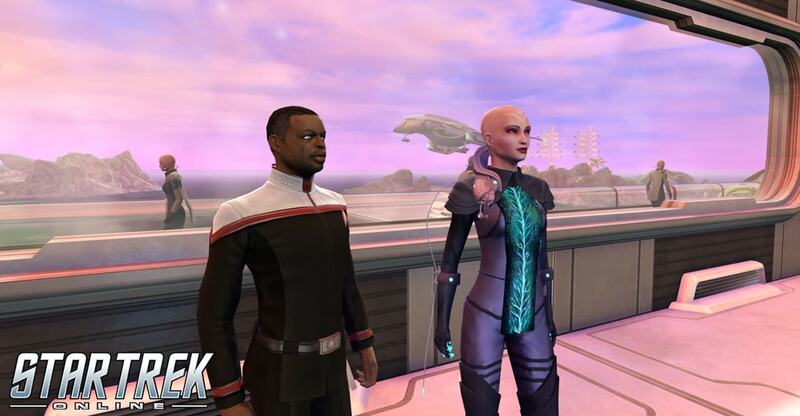 This new episode will be available for Captains levels 10 and up (Romulan Captains must have chosen a faction) for a limited time very soon, before being available in the Mission Journal.